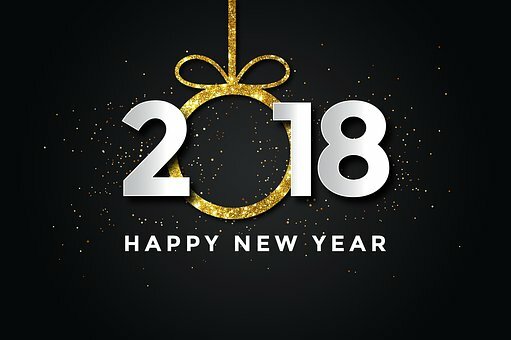 Welcome 2018 | You Empower Your Health! While we reflect on life in 2017, we also want to strive for new ideas, new adventures for 2018. I know for me, 2017 brought many, many new things – some that were unexpected or unplanned – many new adjustments and challenges. I uprooted my life of 28 years in Atlanta, Georgia and made the decision to move back to Jackson, Mississippi to assist in the care of my aging mother. In order to deal with many of Mississippi’s hardships and challenges (coming from a ‘big progressive city’, it was a real adjustment to moving to a smaller town whose people and its culture lack the progressiveness, motivation, education and seems almost stuck in time of the late 1980s), God did bless me with a decent job! That too was another huge adjustment in my life I had to get back used to as I had been working at home/remotely since 1994! Working at home had many, many great benefits to it. The only drawback I encountered from working at home was social isolation. If you’re a people person, working at home is NOT for you! Plus, I must admit, I need some type of structure in my life. For the first 3-4 years of working at home, I was pretty disciplined, but after that, the self-discipline went down the drain. So, coming to Mississippi did help me to get some structure back in working a ‘real job’, being around thousands of people 5 days a week, dealing with all types of personalities; it is quite interesting to say the least! Now, I can appreciate having worked at home as punching that time clock and some other things seem so robotic now – working at home or for yourself gives one so much freedom – something I’ll never take for granted again! Caring for an aging relative or person period brings on all new challenges as well. It’s one that I embrace though, it is not a burden or a chore because that is my passion – always have been – since a little child. I look forward to finally fulfilling my passion at some point in 2018. December 2017 brought some sudden, very unexpected tragedies to some special loved ones I’ve known. I know that we all must die of something – our day is inevitable for sure, but it’s extremely hard when it’s unexpected. Though as a woman, a natural nurterer, and one who focuses on caring for others, I must continue to keep my own health intact. Though I do not know the history of the two precious angels that recently suddenly and unexpectedly passed (no health issues that I’m aware of) this certainly was a wake-up call for me to get back on track to living a healthier life – especially with my many health issues. Thank you 2017, it overall has been good, but I’m expecting and looking forward to some exciting things for 2018. My #1 focus will be to remain healthy, hoping to actually completely get rid of some of my health challenges as well has looking forward to a prosperous 2018!